It was a Summer afternoon in July 2014, and the temperature was in the high eighties. I left lovely Bruisyard church, climbing the steep narrow back lane to the top of the ridge and then freewheeling down into Cransford, sensing the orbit of Framlingham not so very far away now, and remembered the last time I had cycled this way. 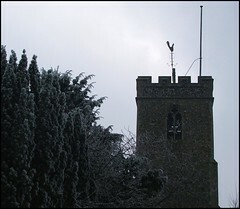 That had been an icebound day in January 2009, the coldest month in Suffolk for years. Although the bulk of the snow was still a week or so away, the frost which laced the trees and lay heavily across the rolling fields isolated the villages and clarified the landscape. As I cycled from Bruisyard, I could have been in any century. I came down into Cransford as the snow began to scatter wildly through the air about me, great goose feathers of frozen white. 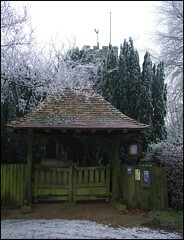 A man standing in his garden told me it was minus three, but it had felt much colder. 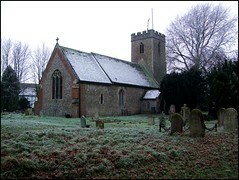 But I had first come to Cransford long before, in the last years of the 20th Century. 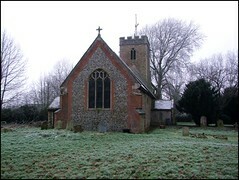 On that occasion I had got into trouble for describing it as the dullest medieval church in Suffolk. 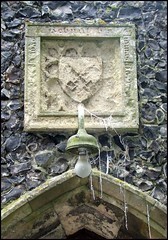 This was harsh, and was partly a fit of pique at this being the first place in more than four hundred East Anglian churches where I was asked to furnish proof of my identity before I was allowed a go with the key. 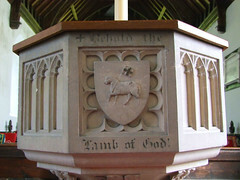 As is so often the case with dull churches, the key was zealously guarded. This, remember, was a locked church in an area where virtually every other medieval parish church was open all day, every day. But when I came back on that icy afternoon ten years later, there was no longer even a keyholder notice. I complained about that at the time, but about a year ago someone contacted me to tell me that Cransford church was now open every day, so I decided to go back. 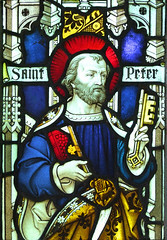 Munro Cautley, in his great 1930s survey of the churches of Suffolk, dismissed St Peter as drastically and dreadfully restored, insisting that there was nothing in it of interest. 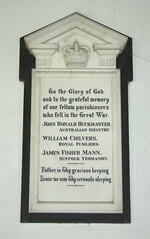 Unsurprisingly, Sam Mortlock disagreed, musing that as with any small county church, a visit was worthwhile. 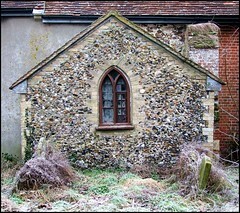 I had congratulated the church historian Roy Tricker for squeezing one of his guidebooks out of this building. 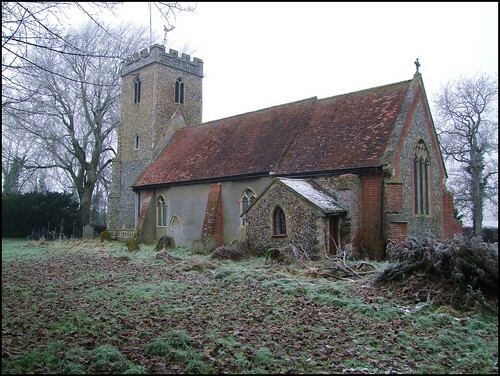 Roy could always find something interesting to say about a church, and the hundreds of guidebooks he produced for Suffolk churches were one of the particular pleasures of visiting churches in the county, although they are rarely come upon now. But I recalled that there simply wasn't very much to see here, and I wondered if I had been right. 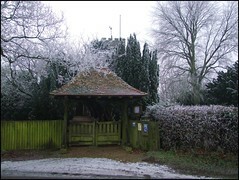 The 15th Century tower disappeared behind trees and the handsome lychgate as I skidded to a halt. 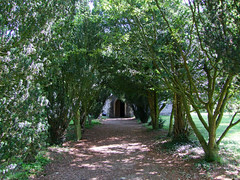 The blossom had finished on the cherry trees that form a covered way up to the north doorway. Nothing moved. There was a silent stillness in the heat which contrasted with the crow-echoing, snow-infused chill of five and a half years earlier. 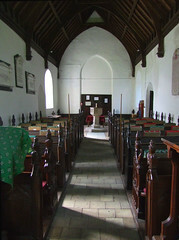 I opened the outer porch door, finding the inner door pleasingly wedged open, and I stepped into the quiet coolness of the church. 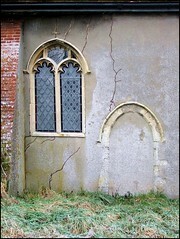 My first impression was of the simplicity of the 19th Century restoration here. 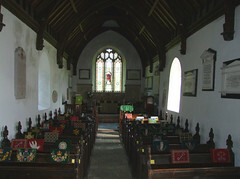 The Victorians had prepared this place for ordinary people to worship, and they would recognise their church if they came back to it today. It is a sympathetic restoration - everything was renewed, but there is a harmony to the work, with nothing blowsy or over-grand. 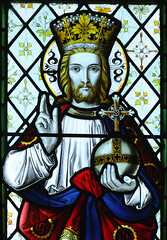 The furnishings are good quality work of the 1870s, the stained glass is roughly contemporary, including the fine east window of Christ in Majesty by Lavers, Barraud and Westlake. 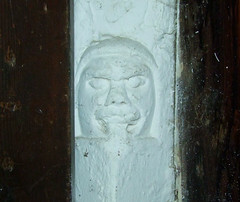 A lancet holds a characterful figure of St Peter. 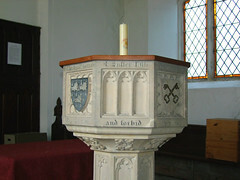 The font is from the 1840s, and remembers two children of the parish who died in infancy. The Victorians rescued and reset memorials, but nothing survives from before them - or, almost nothing, for if you look low down either side of the tower arch there are two cowled faces of the 14th Century. I sat for a while, grateful that this little place is now accessible to pilgrims and strangers, to anyone seeking a sense of the numinous, or even just a quiet, cool spot on a hot, busy day.